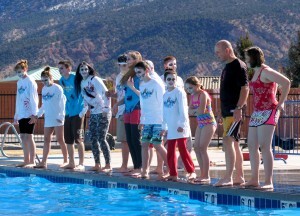 CEDAR CITY – The Chilly Dip fundraiser, held at the Cedar City Community Center Saturday morning, exceeded organizers’ expectations with 176 participants showing up to help raise money for youth sports scholarships by sacrificing themselves to freezing waters. 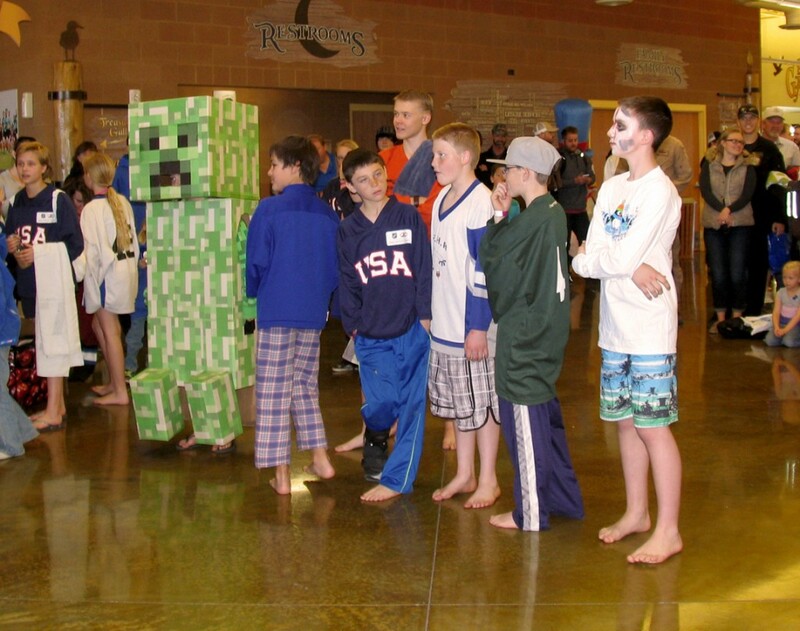 Dressed in costumes and carrying towels, excited divers funneled into the community center lobby to have a chance at winning prizes for best costume. 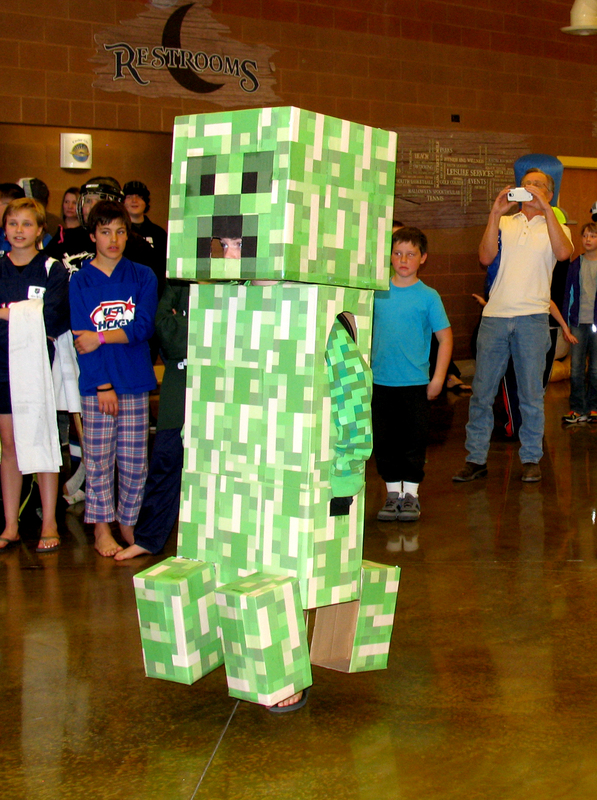 With five separate categories to participate in, winners were awarded first, second and third place prizes, based on who wore the best costume in their age and gender group, and those who came with the largest group of participants. 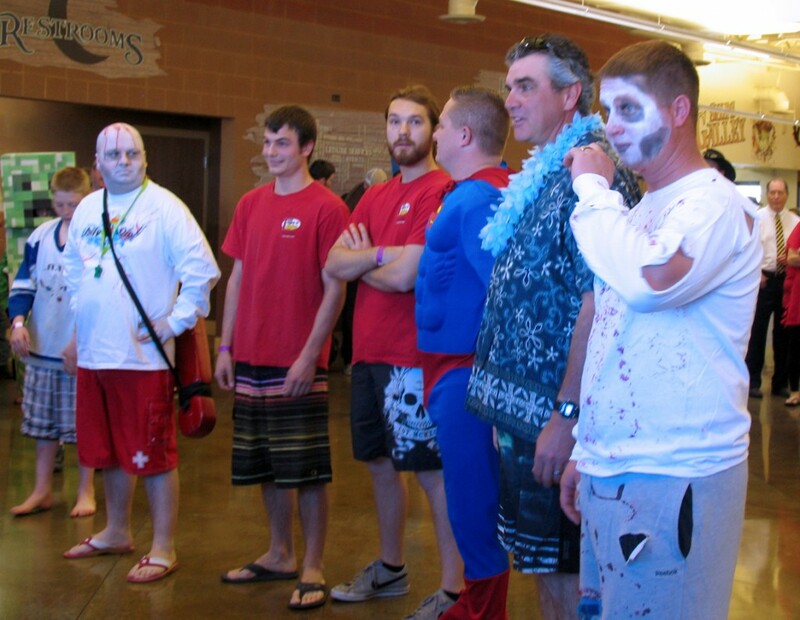 From zombies to hockey moms, the brave men and women paraded out the front door and through the outdoor patio to the pool where the frigid water awaited. 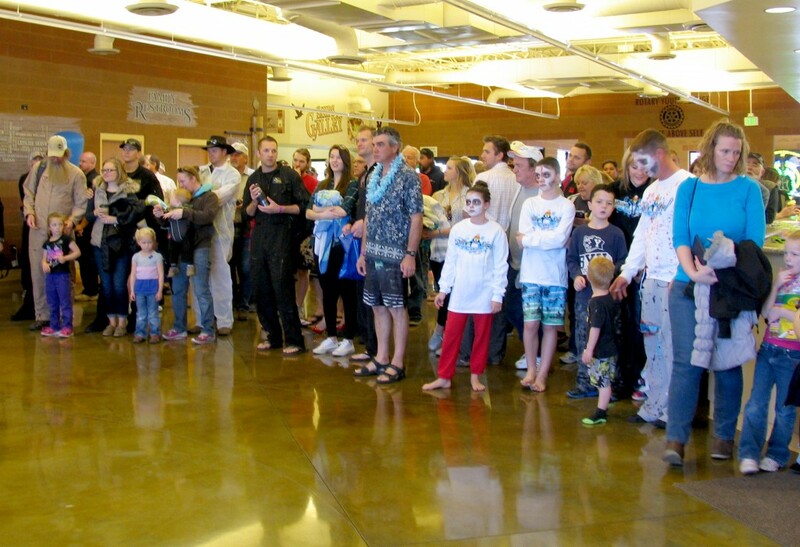 Superman, or DJ Johnny Utah, entertained the crowd with music and called each group of jumpers one at a time to meet the water’s edge and jump. 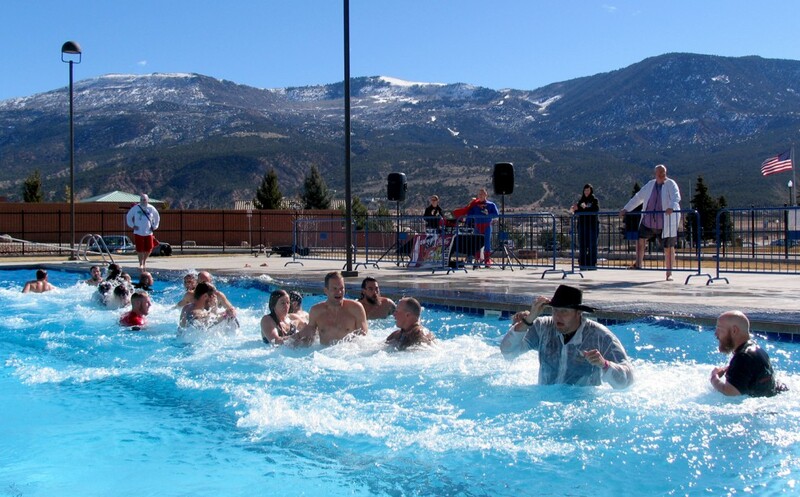 The February weather was unusually warm Saturday morning, giving the false impression that the water would be more welcoming than it truly was for the daring dunkers. 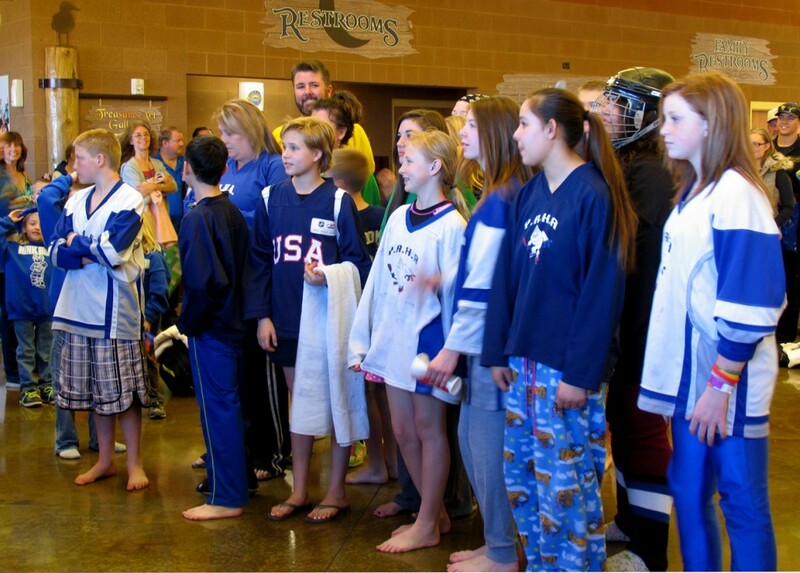 One by one, each team made their way to the side of the pool, grasping each other’s hands and looking to their neighbors for encouragement. 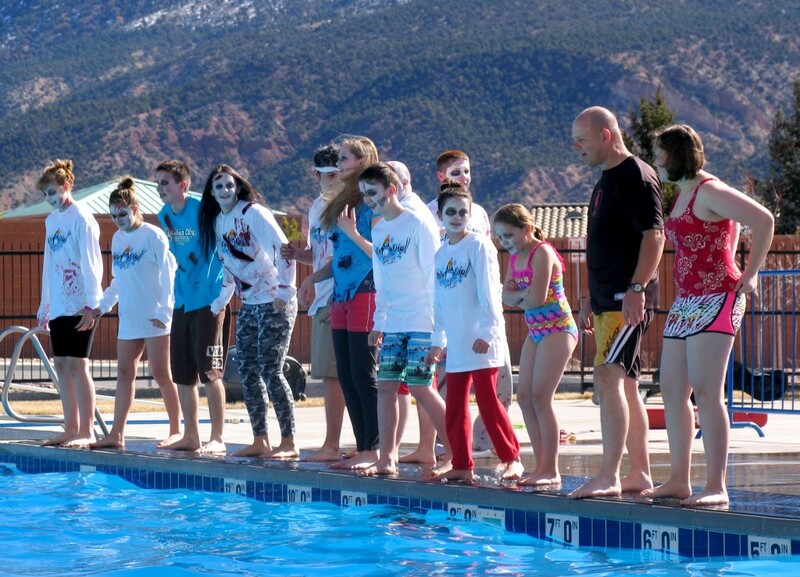 With a scream and a splash, each team that so eagerly jumped into the ice cold water quickly scrambled to ladders, practically toppling over each other to get out of the water and into the warmth of the sun. The crowd dissipated quickly and within 15 minutes the only people left standing outside were the fully clothed and dry spectators there to cheer on those in need of extra courage. 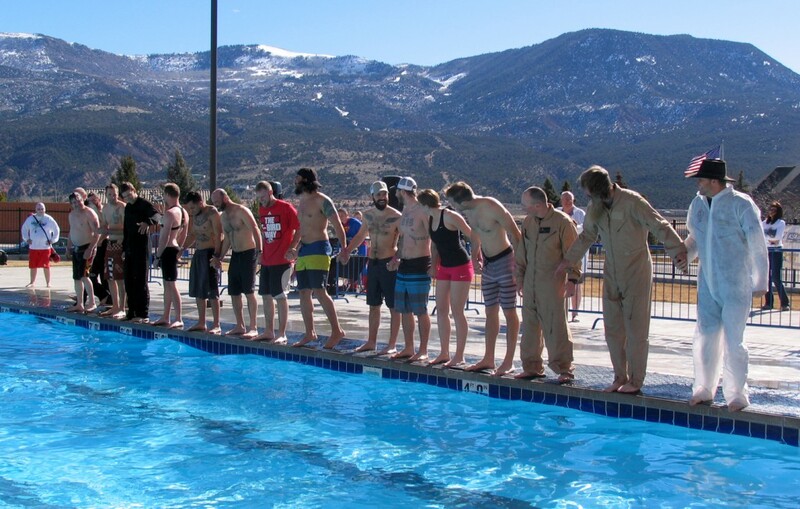 Teter said she admitted the dive wasn’t nearly as bad as she thought it would be, and that she may be more inclined to do it again in the future now that she took the plunge. 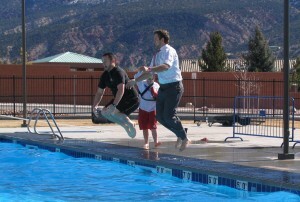 The whole thing couldn’t have gone any better, Cedar City Leisure Services Executive Assistant Ruth Sessions said. The ear to ear grin on Sessions’ face was a direct match to the excitement in her voice as she explained how the day’s success exceeded any possible expectation. 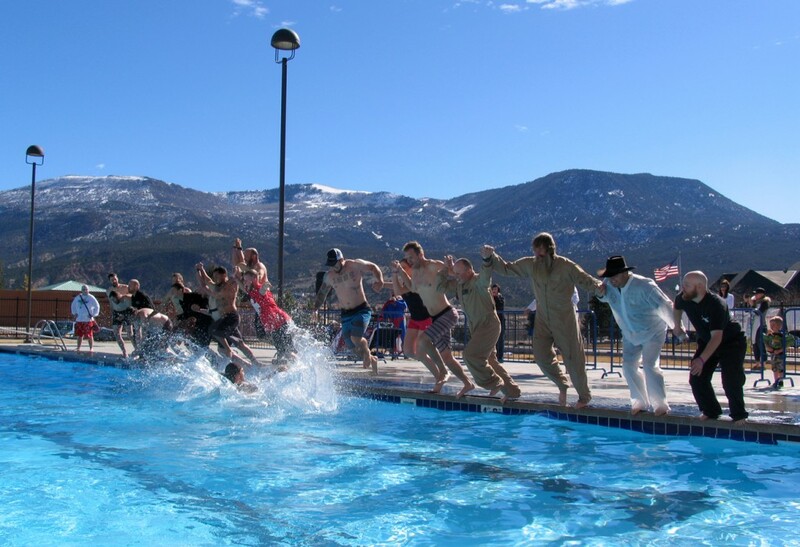 The first Chilly Dip fundraiser was held in 2014. 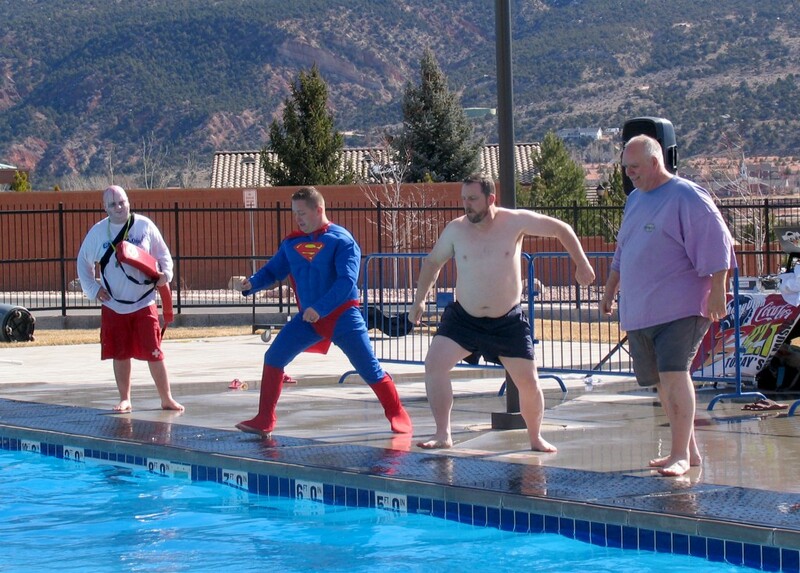 The years before, the city participated in the well-known Special Olympic’s Polar Plunge fundraiser, Sessions said. 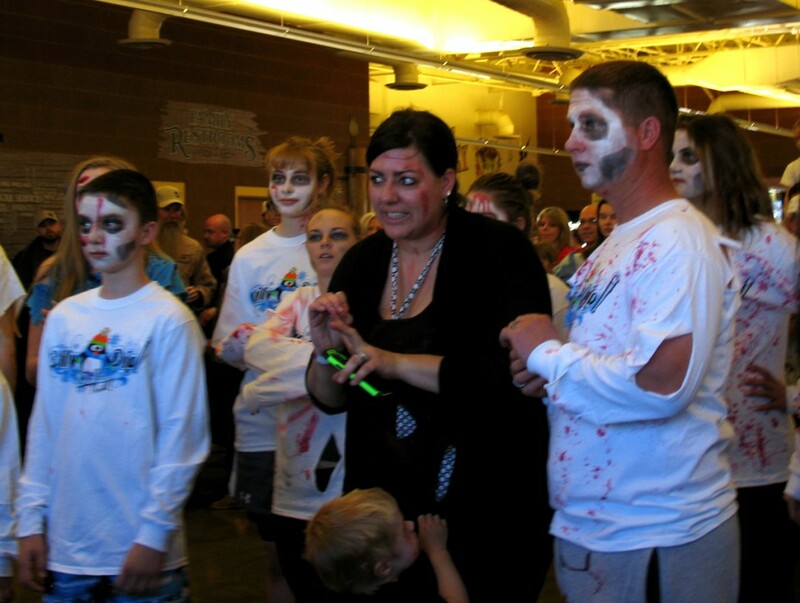 The event had become quite popular in Cedar City, she said, but complications with funding distribution methods made the event less appealing to possible supporters. “Unfortunately, we lost some pretty significant support from sponsors as a result,” she added. 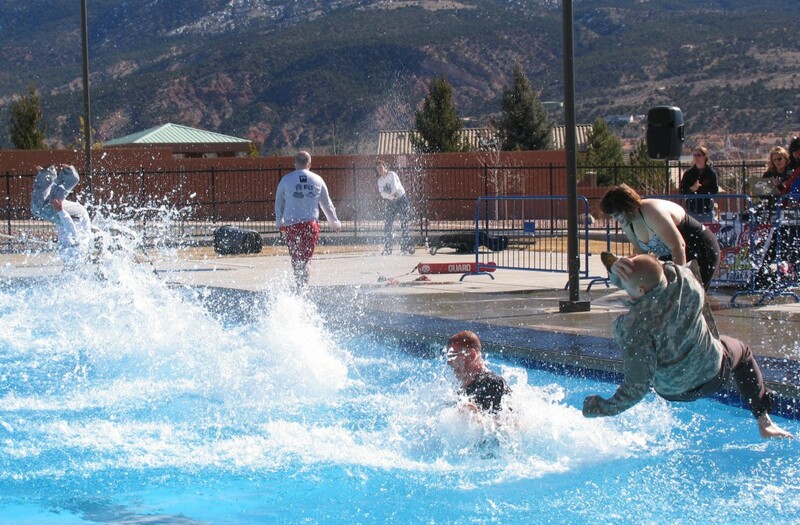 The first year Leisure Services planned the event, the community center was under construction and the Lake at the Hills was more like a puddle, Sessions said. The entire top layer of the water had frozen over and the city had to bring a backhoe in to uncover the frozen surface, she said. There were 63 participants that year, Sessions said, and the number doubled by the following year. 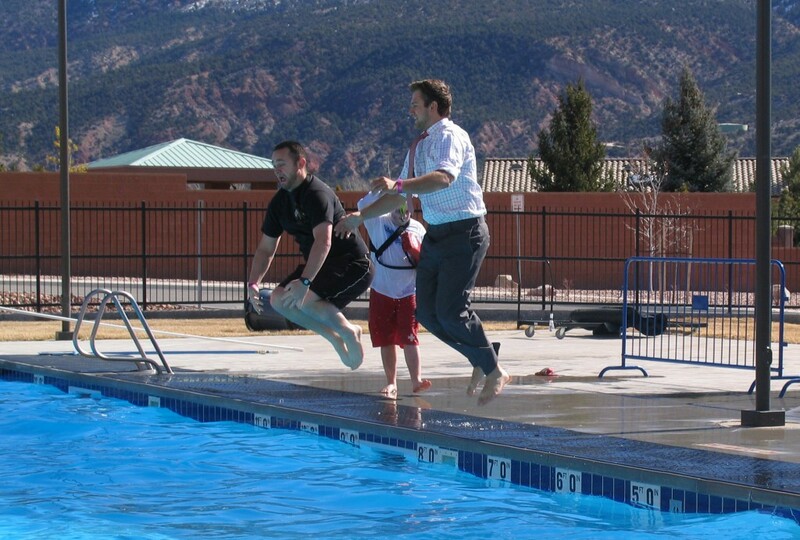 By the time it was decided to switch gears, Sessions said, the event had a fairly high participation rate, and switching gears from the Polar Plunge to the Chilly Dip, did present some challenges. Leisure Services took a year off to regroup and rebrand the event, Sessions said. 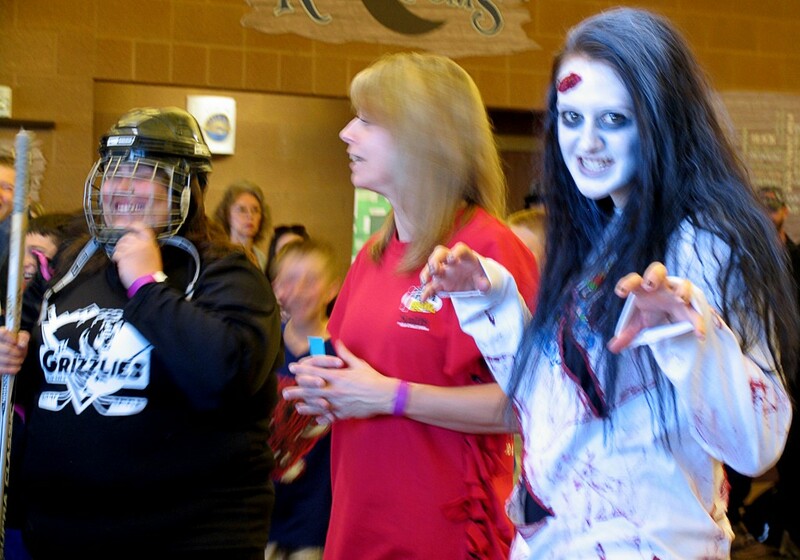 When the program was relaunched, she said people didn’t really connect the dots at first so there was only a $600 profit to build youth sports scholarships for the 2014 sports seasons. 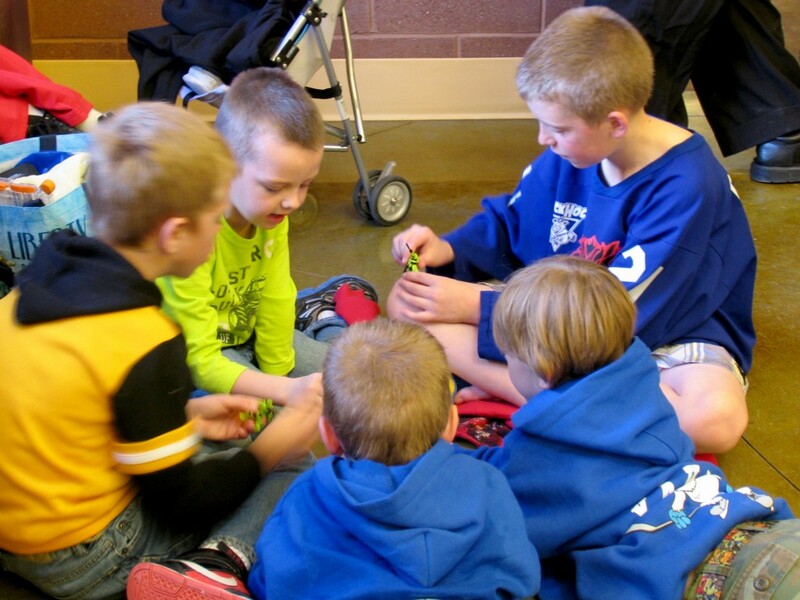 This year, Leisure Services raised a total of $2,894 before expenses, Sessions said. This means that when everything is said and done, they will have more than doubled last year’s scholarship fund of $600. Up until now, the scholarships have only been available through word of mouth, she said, because they were worried that there wouldn’t be enough money available to help everyone who came looking for a sports scholarship for their child. With the extra cash, Sessions said, they can begin to put brochures into public schools to give more parents the information they may need to help their child get deeper involved in the wide world of sports. 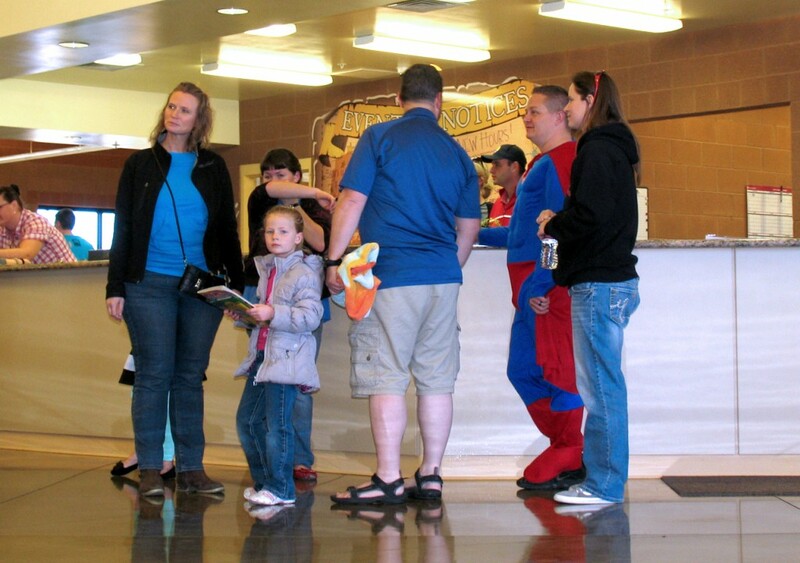 Any child who is eligible for free or reduced lunch can apply for a scholarship through the Cedar City Leisure Services Department.